Ultras have been (mis)used by politicians on all sides of spectrums all around the world. 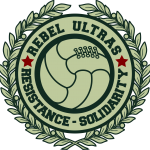 Especially in local elections politicians are depended on a range of social networks to get them votes, and ultras groups can be very influential in this aspect, or politicians show support for supporters in terms of funding and legal protection. However in some cases, this backfired. In June this year, Gate 9 ultras in Cyprus made the decision to seperate themselves from their club Omonia Nicosia after it was sold and turned into a business. Gate 9 felt that the original ideology of socialism and anti-capitalism was betrayed by this move and decided to form a new club. AKEL, the historic communist party of Cyprus, has been influential on the club’s board, too influential perhaps, as their leadership left the club in debts and they blocked all access to the club’s board for anyone except themselves. More about that here. But Cyprus is by far not the only example. If you think about football you do not immediately think of Indonesia. Yet football is the country’s most popular sport and it’s top-tier league, the Liga 1, has the highest attendance in Southeast Asia, with 11.000 average visitors per match and 20.000 fans who routinely show up at matches of the biggest clubs like Persib Bandung and Persija Jakarta. Indonesian ultra’s have been named some of the best in Asia according to sites like Copa90, like the Brigata Curva Sud of PSS Sleman, who were recently promoted to the top league. Unfortunately, reseachers have discovered that these passionate fans are like ants on a pot of honey for politicians. Most clubs in the Liga 1 have a chairman or at least one person in management who is a leading political figure or who has strong ties to a political party. These people use their influence in the club to gain sympathy from fans for votes. In 2008 Dada Rosada used the Viking ultr’s from Persib Bandung to secure his re-election as mayor. Rosada was sentenced to 10 years in prison in 2014 for bribing judges of the Bandung District Court and rigging cases. La Mania of Persela Lamongan were used by elites for local elections in 2010 and Brajamusti of PSIM Yogyakarta split after a conflict of political interests. However, not all ultras want to take part in such practices, like in Greater Malang, East Java. This is the home of Arema FC and their fanatic group Aremania. The club was founded in 1987 by an army general who wanted to reduce the widespread violence between local youth gangs in the 70’s and 80’s. But after brawls around the stadium continued, the leadership came up with the Arema Fans Club in 1988. Many youths viewed this group as too middle class and exclusive, so it was disbanded in 1994 and in 1997 Aremania was born, a new supporter group that rejected formal leadership and chairpeople. It quickly became popular because of it’s slogan salam satu jiwa (‘one soul salute’) and their principle ‘no leader, just together’. Aremania adopted a system of informal local groups around Greater Malang, known as koordinator wilayah (regional coordinator) or korwil for short. Although there was no formal leadership, the korwil had informal leaders who held meetings and had connections with the club, local police and local government in order to create discipline amongst fans, reduce violence and secure trips to away matches. In the past, they would also provide Arema fans with match tickets. Since the formation of the korwil youth gang violence has declined to a minimum and many locals take pride in Arema as a local identity, even if they do not like football. In towns in Greater Malang it isn’t hard to find ‘Arema shops’ and ‘Arema food stalls’. In 2017 there were mayoral elections in the city of Batu. One of the main candidates, Dewanti Rumpoko, was suspected to win the elections. Her husband Eddy Rumpoko, who was the mayor at that time and was finishing his final legal term in office, served as a chairperson and advisor for the Arema Football Foundation, which runs Arema FC. He was known for generously donating city budgets to the club and finanicially providing Aremania members with enough buses to support their team at away matches. It’s not surprising that Dewanti Rumpoko had a huge advantage: an army of voters to secure her victory. She won the elections, however this had more to do with voter buying than with Aremania or the korwil. Her ‘success team’ did not use any symbols of Aremania or Arema FC, unlike symbols of other clubs that are frequently used during elections. According to informants in Aremania, there is an unwritten law that says they should not take part in ‘practical politics’. They were not obligated to vote for Rumpoko and many politicians in Greater Malang who tried to use Aremania in the past were reprimanded by the group. Another reason is that the korwil have become less influential because of the decline in violence, the centralisation of the ticket system and a bigger regional identity in Malang. So even if they had been used for this purpose, it’s doubtful that they would have contributed to Rumpoko’s victory. Just like Indonesia, Argentina also has a history of using football as nation building and using fans for political purposes, although in a different way. Since the early 20th century, the weakly organized political parties have always relied on neighborhood clubs for votes. Club managers were chosen directly by the communities and the parties saw a chance to reach out to voters and create networks. The clubs function as a middleman in their communities between politicians and civilians, distributing basic needs such as food and clothing for the poor. Although big clubs like River Plate and Boca Juniors now have fans in the entire country, their supporter groups aka the barra bravas still have close connections to the barrio (neighborhood) in which their club was founded. Unlike Aremania with it’s loose structures, the barra bravas of Argentinian clubs are very institutionalized and have a strict almost military style hierarchy. At the center sits el jefe or the boss. New members have to go through a training system, where they have to prove their loyalty to the club. It starts with small acts like vandalism and evolves to planning attacks on rivals and organizing routine weekly activities. Only through this recruiting system, the barra bravas believe that these people are worthy of being a part of them. Unlike the korwil, this system allows these groups to be used more effectively for political purposes. Even if there are ten thousands of members, there is a central command from above. Investigative journalist Gustavo Grabia has published multiple books about the barra bravas connections with organized crime and corrupt politicians. Because of their strong ties to club owners, who often have political connections, they’re often used by the chairman to scare away political opponents and secure votes in the neighborhoods that they control. In return, they receive economic support. Barra bravas are often portrayed as opportunistic, since they help whoever can provide the most resources. The fans of Boca Juniors, the most popular club in the country, played an important role in the election of Mauricio Macri as mayor of Buenos Aires in 2007. All of this is very different from Aremania, with it’s decentralized leadership and non-hierarchial structure, which makes them less accessible to politicians. Arema has been dubbed ‘the St. Pauli of Indonesia’ by former ESPN reporter Anthony Sutton, because it’s more than a club, it’s a lifestyle, a culture within a culture. Although history shows that the involvement of political parties in football clubs can have some positive consequences, it also makes them more vunerable for corruption and it kills the spirit of clubs and their fans to rely too much on them. When the Supporters Do Not Support: Politicizing a Soccer Fan Club in an Indonesian Election (2017), Permana Y.S.